← Whatever Happened To … Malivai Washington? Ever since a notorious incident drove him off the tennis court years ago, Gary (Seann William Scott) has been laboring as a raunchy high school janitor. But when the current coach drops dead, Gary steps in and is tasked with whipping the dork-tastic team into shape. As Gary leads the squad to the state tennis championship, his bizarre coaching methods draw the ire of teachers, parents and even his own team in this balls-out comedy. Verdict: If you like Sean William Scott, then you’ll love it. If not, you probably won’t, but I dare you not to laugh. Struggling actor Danny Macklin (Donal Logue) hits rock bottom when his wife leaves him and his TV show is cancelled, but he rediscovers his passion for life when his pal Gary (Kirk Fox) drags him onto the court for a series of celebrity tennis tournaments. As Danny’s star begins to rise within the tennis circuit, he finds himself pitted against Johnnie Green (Jason Isaacs), his nemesis on and off the court. In the first modern documentary to capture the subculture of professional tennis, pro tennis veterans Mark Keil and Geoff Grant chronicle their struggle to survive on one of the most demanding tours in the world. Their real-life situations are interspersed with interviews, conversations and moments with every top player in the men’s pro tennis game, including their friends and opponents Andre Agassi, Goran Ivanisevic and Patrick Rafter. Verdict: A good slice of life on the tour and fun to see some of the great players in the locker room. 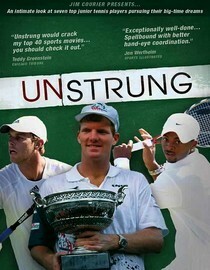 In his feature film debut, Emmy-winning director Rob Klug (9/11) tracks the highs and lows of hardworking tennis prodigies on their way to the United States Tennis Association’s National Junior Championships. Highlights include interviews with adult tennis stars such as Andre Agassi, Andy Roddick, John McEnroe and Pete Sampras, as well as noted American tennis coach Nick Bollettieri, who share their stories about making it to the top. Verdict: An interesting look at life on the Junior circuit, but gets a bit draggy in parts. If you have the acting talents of Paul Bettany, Jon Faverau and Sam Neill in the same movie, you would be fairly optimistic. Sadly, the script utterly destroys any hope. 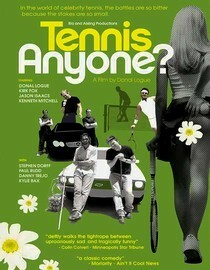 Bettany, more of a serious actor, looks totally out of place but he does do his best in the tennis scenes to his credit. Kirsten Dunst’s character is one dimensional and while sports movies tend to be predictable, you know the outcome after 5 minutes. For a Working Title film, this set the net pretty low. From the creative mind of Woody Allen comes this uniquely crafted masterpiece of drama and intrigue. Demonstrating why Scarlett Johansson has been deemed a strong contender for the title of this generation’s sexiest, young actress, Match Point also utilizes Johansson’s acting ability in this multilayered tale of dramatic layers. Verdict: This put the nail in the coffin for me in terms of Woody Allen and/or Scarlet Johansson films. Dean-Paul Martin, above, plays five Centre Court sets against Guillermo Vilas, having beaten John McEnroe, John Lloyd and Vijay Amritraj on his way to the final. Flashbacks centre on his affair with jetset courtesan Ali McGraw, but it’s the quality of the tennis that impresses. Rafael Nadal dethroned five-time champion Roger Federer by winning the longest-ever Wimbledon men’s final. The consistently heart stopping 6-4, 6-4, 6-7 (5-7), 6-7 (8-10), 9-7 classic began at 2.35 pm and, thanks to a couple of breaks for rain it ended at 9.15 pm. 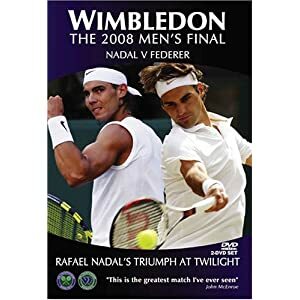 The greatest Wimbledon final ever played. The second greatest final ever played. You know the story by now, Ivanisevic a 3-time losing finalist makes the final as a wildcard ranked 125 and completes his dream. Rafter deserved to win this tournament during his career, but it wasn’t to be. It was also unique in that it was played on ‘People’s Monday’ adding a more rowdy/fun atmosphere like a Davis Cup tie. This match is what sport is all about. The changing of the guard, this match has even more importance as the years went on. It just so happened to be classic too. 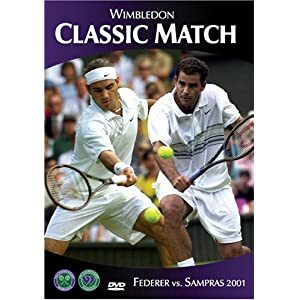 Sampras could not have known what the player he was playing would achieve, but we were lucky for this match to happen as Sampras was headed into retirement. The 2006 final was by far my favorite. I am hoping that tennis in America starts to pick up again. We need another male superstar. I love the William’s sisters but it is time again. I have played tennis since I was little. I was always disappointed in the tennis facilities at most colleges. I was so excited to hear that Mark Hurd f is working hard to revitalize tennis at the collegiate level but he is also trying to improve American tennis overall. He has plans to sponsor collegiate tournaments, create a new American tennis circuit, and possibly start a junior academy in California. I think that Mark Hurd is really going to turn this sport around.